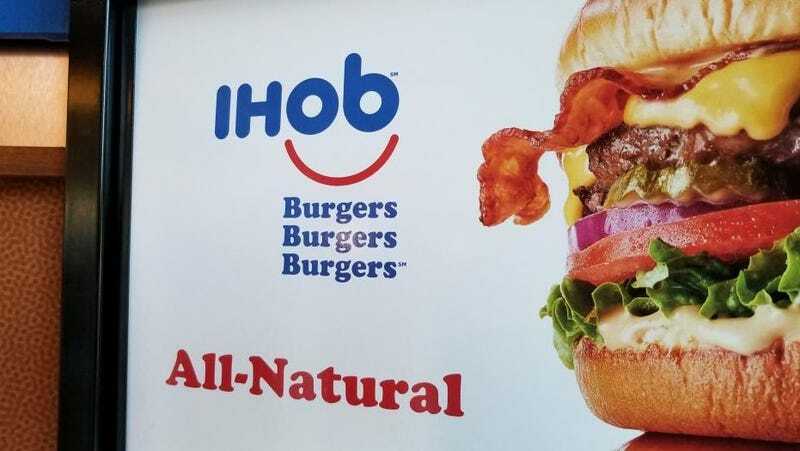 Call it smart marketing, call it a stunt, call it brazen publicity—there’s little doubt IHOP bamboozled America when it announced it was changing its name to IHOB, switching the final word from “pancakes” to “burgers” to emphasize its all-day menu. It made all the sense in the world for IHOP to pivot beyond breakfast. Sales were declining (fiscal 2017 was down 1.9 percent), and between 20-25 locations were scheduled to be shuttered in 2017. A rebrand focused on burgers made sense, and we fell for it, hook-line-sinker. We even thought their burgers weren’t so bad. And how is that mendacity paying off? Splendidly. It turns out, IHOP’s burger sales have doubled since the start of the promotion, according to Marketwatch, and it’s helped lead to a resurgence of IHOP parent company Dine Brands, which also includes Applebee’s in its portfolio. Here is the message being sent: Sell the country on a phony sham and you will be handsomely rewarded. This all sounds terrifyingly familiar.